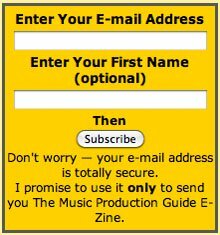 Allow me to introduce myself… My name is Michael White and I am the creator of this website, music-production-guide.com. From the time I started teaching professionally in 2001, I came to realize how much I enjoy helping others understand the art of audio engineering. As each year passed, I found myself increasingly committed to teaching and helping others pursue their dreams. It is truly a privilege when one has the opportunity to make use of their experience to help others pursue their goals and dreams. 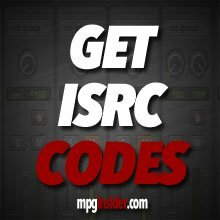 It is with this spirit that I have created music-production-guide.com. The intention of making public this list of credentials, is to help give the reader a sense of the experiences and perspective from which I write. As a professional, I have always shied away from the spotlight, letting that go where it is rightly deserved, to the artists, producers and musicians whose efforts I have been fortunate enough to capture for others to enjoy. Still, when I look back at all of the artists, producers, musicians and amazing experiences I have had, I have to feel incredibly grateful and blessed for what I have accomplished. I hope that the following information helps lend a perspective to the content of this website. I believe that there are certain truths in the art of recording and producing music that hold regardless of the technology employed past or present. It is my belief that these truths are best gained through experience and witnessing them as part of professional music production process. I hope that the translation of my professional experiences can help to enrich the experiences you have with your own music production goals. My work through the years covers a broad spectrum of musical styles from jazz and classical to hip hop and rock on all levels of the production process including tracking, editing, mixing and mastering. In addition, radio and audio production for film including surround mixing. I have contracted consulting and technical engineering services to Solid State Logic, the largest manufacturer of professional audio recording consoles, including installations and training for the most prestigious studios in the United States including The Hit Factory NY, Criteria studios, Right Track Recording, Electric Lady, Sony Studios, NBC NY and private recording studios for Whitney Houston, Reba McEntire and Mutt Lange. I currently provide professional consulting for the design/redesign of private and commercial studios including acoustic treatments, equipment purchases, technical/practical training and streamlined workflow for composers, producers and artists to facilitate maximum potential. Using my experience as a full-time working professional producer and recording engineer in the music industry, I was able to teach from a place of experience. The experience of teaching has helped me gain a deeper understanding of the art of engineering and how to convey that knowledge to others. Continuing to record and produce music independently allowed me to relate the most current trends in the music industry into the classroom environment. I gained certification as a teacher in the State of New York in 2003. Authored a book entitled "Editing Audio in Pro Tools" published and distributed by Thomson Publishing © 2006. This book is an interactive guide to the art of editing audio for music production. By using real Pro Tools sessions that the user can load into their computer, the examples allow a direct interaction from book to computer for learning the methods and editing features of Pro Tools software. Music Supervisor for Poitier Productions Inc. Worked on the independent film production of ‘The River Niger’ a Tony award winning Broadway play written by Joseph A. Walker. Conceptualized, developed and produced the entire music production process from budgeting to the licensing of songs and background music used in the movie. Recording engineer and producer for “Adventure Center”, a live call-in radio show dedicated to extreme sports recorded at the Sirius Satellite Radio studios in New York City. Post-production engineer for all shows on OLN Radio including the recording and production of promotional ads for OLN TV and the live radio production of the 2003 'Tour de France’. Electric Lady was a springboard for me into the world of full time independent audio engineering. The clients, connections and lessons learned here have served me throughout my career. At Electric Lady Studios, I learned the importance of vibe, personality and professionalism to enhance the technical side of engineering. Right Track Recording was a hidden gem in the realm of world class recording studios in NYC. This was my first real recording studio job and guided me from internship to becoming a staff engineer. The lessons learned here were from some of the best music producers and engineers in the world. The base of technical knowledge and professionalism in the art of engineering I learned here, from staff and clients, was invaluable.